Don't let your fortitude get corroded. As discussed earlier this month, I have two reader groups on Facebook–one for middle grade through young adult books and another for Gothic literature. Have you joined either? POSSESSED: Timeless Gothic Reads is growing and the membership has decided to do seasonal group reads, which are not mandatory to participate in, but an extra layer of fun. 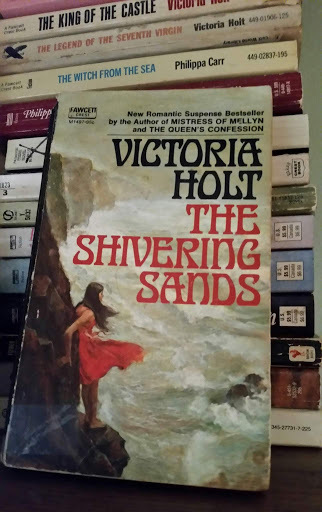 Our summer book is The Shivering Sands by Victoria Holt, one of the iconic names in Gothic Romance from the past fifty years. The week of August 19 we will dedicate discussions to this title, but as always, all conversations about Gothic literature are welcome at any time. Be sure to join us if you can. What have you been reading this summer?